Many people face difficulties trying to fall asleep. Crumpled sheets, restless thoughts, you are broken and drowsy the next day… How to fall asleep easily this night? In this article I have compiled the most efficient techniques which can help you to fall into a deep and healthy sleep. Applying these techniques will help you to fall asleep and to reduce anxiety right the next night! I haven’t been bothered by insomnia since constant anxiety and panic attacks had gone. But I got into a car accident recently and had to spend a month in bed because I wasn’t able to walk due to wounds and bruises on my legs. Due to the lack of physical activity, extreme heat at night (I lived in India that time) and wounds I faced problems with falling asleep again. The irony of the situation is that these problems were indirectly caused by the lack of night sleep of the driver of the vehicle I was in. The driver fell asleep at the wheel. That’s why I hope that tips from this article will help you to have a good night’s rest, especially if not only your life depends on your attention and tone but also other people’s health. This article is not limited to just “sleep hygiene” (diet, physical activities, food that help you sleep etc.) that you can find in other articles. I will place a huge emphasis on psychological aspects of falling asleep. After all, even if you create comfy and conducive environment for sleep with all due care, stop eating ‘heavy’ food at night and start doing sports, you will not be able to fall asleep until your mind calms down and breaks free from the intention to fall asleep as soon as possible. No, the last phrase is not a mistake. Indeed, it is a strong desire to fall asleep that often prevents us from doing it. The human being is a truly amazing creature! He may lie in absolute darkness without almost any influence from the outer world. But suddenly the thought floats in his mind: “What on earth did I tell her on that date! How silly I might have looked!” This memory will cause the whole range of emotions: anger, awkwardness, discontent. And will give rise to physical reactions as well: palpitation, the flush of blood to the face, muscle tension, sweatiness. Such person can even stand up and begin walking about the room because of anxiety. We rarely think of it but if we try to take our mind off our habits and look at ourselves from the outside, this behavior can seem strange and even a little funny. He had been in bed just a few minutes ago, ready to fall asleep, absolutely nothing had been going on around him, but a sudden story that appeared only in his mind keyed him up, tensed his muscles, stimulated physical centers. He is recollecting story details, making up his own interpretations, thinking, thinking and thinking. The story becomes conjunctive: ‘what if I had said something else’. Irritation is tinged with disappointment and drowsiness is vanished as if by magic! What do I actually want to say? First of all, that our thoughts stimulate a response in a body that prevents us from sleeping. That’s why a strong desire to fall asleep causes a big chain of thoughts and emotions connected with it. You go to bed remembering that you have an important day tomorrow and you merely must get enough sleep. But sleep drags its feet: it is dismissed by the thoughts of tomorrow or is frightened away by the recollection of present day or it doesn’t happen due to other reasons. “When will I eventually fall asleep?”, “Why it’s not happening?” – float in your mind. You look at the clock nervously, knowing that there are only 5 hours before the alarm goes off. ‘But this is not enough to sleep well’- you think. You begin imagining how you will nod off tomorrow being unable to concentrate and do your work in a proper way. It keys you up even more, causes lots of new thoughts. And while you are thinking them over, two more hours are passed. 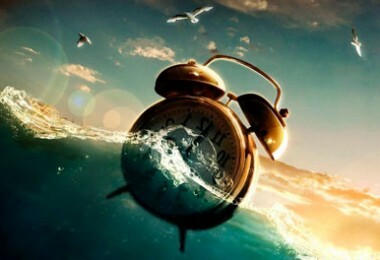 Finally, you fall into troubled sleep and then you are woken up, broken and depressed, by an alarm clock. What you had most feared eventually happened. Moreover, it happened just by virtue of the fact that you had feared! Thus, in order to fall asleep, you have to stop wanting to fall asleep! Willpower doesn’t work at all here. Good sleep requires total relaxation and relaxation is possible only when the will is relaxed, where there is no attachment to the result. The principle of non-doing, non-action. It is denoted as WU-WEI in Chinese terminology. This principle underlies many spiritual practices and has very useful application. It also made a great impact on Leo Tolstoy’s views. Non-doing means achieving the result without much effort of will and interest in the results. The simplest example of omission is connected with the topic of this article. We attain sleep only by dropping desire to fall asleep. It is very difficult to fall asleep by means of willpower. We have to relax our will. That is what WU-WEI is. Many other activities are done much better when non-doing is applied. The principle of concentration. It is difficult to relax, free your mind from anxiety without the concentration of your attention. Concentration is necessary in falling asleep practices that will be explained later. Two given principles are closely connected, overflow one into another and complete each other. 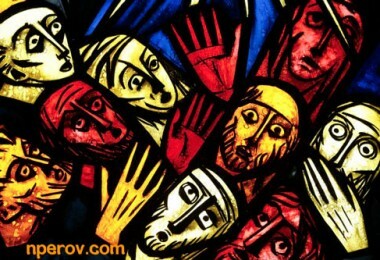 In some aspects it is not possible to imagine non-doing without concentration and vice versa! When I faced difficulties to fall asleep, I began to read other articles on the Internet about this problem. I found a lot of good methods. But what I didn’t like about them is that they all are based on the assumption that ‘night is only for sleeping’. And many tips appear from it: ‘set yourself up for sleep’, ‘create a necessary circumstance for falling asleep’, ‘put in ear muffs’, ‘don’t read in bed’ etc. The advantage of such tips is that by following them you set your mind that the bed is a place only for sleeping, not for anything else. Brain remembers this, calms down and falls asleep when you lie down on your sheet and cover yourself with blanket (in theory). I don’t deny the effectiveness of these methods. I just think that you can use them, but don’t get attached to them. If they don’t work – they don’t work. Here the psychological methods of falling asleep come in useful. As I have written, it is a strong desire to get enough sleep by any means that prevents us from this goal. That’s why it is very important to relax your will. One of the methods that helped me with it I called ‘the dreamer’s pose’. What is it? What I want to tell here is that once you can’t fall asleep use this time wisely. No need to constantly keep in mind the suggestion that night is only for sleeping. Relax, enjoy this time of rest. You lie in bed now, shrouded in night’s darkness, the roof and the walls of the house protect you safely from nasty weather and the locks make your house an impregnable fortress. Nobody will disturb you. You don’t have urgent businesses, all the urgent matters will arise in the morning that has not begun yet. But in the night you are totally left to yourself. You are free! So relax, try to enjoy and get benefit from this time, just dream about something instead of tossing and turning, believing that you can do nothing but sleep. No, I don’t say that you need to jump out of bed and go running in the night like a bat out of hell: after all, our aim is to fall asleep. Put your hands behind your head, stretch out comfortably in bed. In other words, take the posture of a man who stretched out on the grass to dream a bit. You can even visualize this: you lie on the grass, blown by the light evening wind. The sun is setting and dusk covers the landscape scene. Nature is falling into sleep. And it doesn’t matter that it takes place only in your imagination: the brain reacts equally to the ‘real’ and ‘imaginary’ stimuli. There is no hurry, you take a rest and enjoy it while you have an opportunity. If sleep comes – it’s good, if not – it’s also good! Total equanimity! Dream about something: about next vacation or remember you’ve been on a recent vacation in a beautiful and interesting place. Seriously, is there any hurry? Even if you don’t fall asleep, you will have a good rest! Your body is relaxed, it lies in horizontal plane, yout sensory organs, eyes and ears get far less information than at the daytime! Don’t wait for future when the body falls into a deep sleep! You are taking rest and recovering your body here and now. So hold your horses, let your body relax, try to be satisfied with what is now instead of waiting for sleep nervously. You are at your cozy home and in cozy bed, is there anything else you need? This method is not at all about putting up with your insomnia. No, no matter how paradoxically it may seem, its aim is to fall asleep. But this aim can be reached not by putting efforts, but by non-doing, the absence of any will’s movement, by being here and now, by focusing on this moment! You stop waiting in fear for the moment you fall asleep, you are content with what you have and you reach relaxation through this. Just dream a bit, practice visualization and you won’t notice how you fall asleep. Another meaning of this practice is that you improve the quality of your sleep by relaxing! Doctors proved that it’s much better for health and relaxation to have less time of calm and deep sleep than more of tensed and superficial one. If you fall into sleep being tensed and annoyed, you will not get enough sleep even in 8 hours! That’s why try to fall asleep in a serene mood. 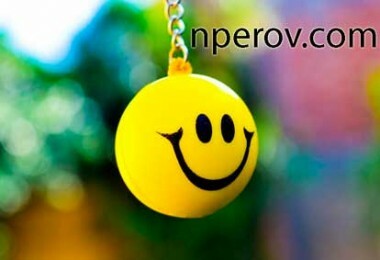 People are very afraid of being drowsy the next day, but sometimes in vain! The sleep deprivation can have its benefits. No wonder that so-called “controlled sleep deprivation” (deliberate sleep deprivation) is used as a treatment for depression. Also, this practice is used in order to increase creativity potential and alter the state of consciousness. Some religious rituals involve Night Vigil (All-Night Vigil of the Eastern Orthodox Church, Maha Shivaratri, as well as night-ritual presentation of Kathakali theatre in Hinduism). Perhaps these practices are aimed at spiritual renewal of a person, getting a new experience, which comes as a result of lack of sleep. Sometimes, when I have to get up very early and have a short sleep, I have a paradoxical feeling. Instead of the expected sleepiness I am supernaturally vigorous: I have a very good mood during the whole day, high working efficiency and an abundance of creative energy. And I easily fall asleep at a proper time in the evening. These are the treasures that sleepiness can give us. I write this so that you can stop being afraid of it and stop being so much obsessed by the thought that you will be sleepy the next day. Instead, explore this state, find its benefits. And then you will be much less worried at night at the thought that you will not get enough sleep. Consequently, you will be able to fall asleep easier and faster. I understand that sleepiness leading to interesting states is not always the case. In most of the cases everything is more prosaic and deplorable. For example, if you fall asleep at the wheel. Therefore, if you have to drive or be engaged in other activities related to the death risk and which require attention, you need to be sure that you will not fall asleep. Drink coffee, strong black tea or Puer if you didn’t get enough sleep. If these things do not work with you anymore, then, most probably, you have an addiction and need to reduce the consumption of stimulant drinks. I drink coffee only in the cases of emergency when I really did not sleep enough and actually need recharging. Due to the fact that I do not drink it regularly, the occasional use invigorates me and removes all the signs of drowsiness! This is a great benefit of non-daily consumption of coffee! When we begin to roll restlessly from side to side, we dissipate our tension. 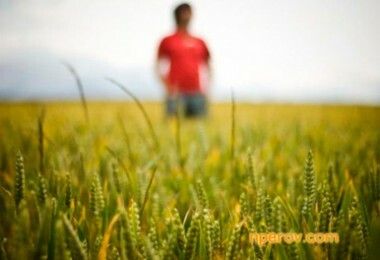 For example, if a person is worried, he starts moving, walking back and forth. But this tactics is absolutely wrong, it does not help at all to calm the unrest. Try not to yield to temptation to move convulsively in such moments, sit quietly and try to relax your body. And you’ll see how significantly the unrest will be reduced! Therefore, instead of tossing and turning in bed, try to be in the same position, preferably on the back. You can feel the tension in the body. You will instinctively wait for it after the change of position. But have a little of patience and the tension will go away on its own, even if you do not roll over. However, it will take much more time, if you are like a cat on a hot tin roof. If you need to relax your body and remove the tension, use the following exercise. I always use this technique to fall asleep and relax. This exercise comes from yoga. 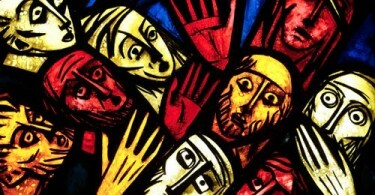 But it is used as a part of the set of psychotherapeutic techniques to get rid of stress, for example, to release people who underwent a war from post-traumatic conditions. It provides good relaxation for both mind and body. It represents the following. Perhaps, I have already written about Yoga-Nidra in my articles, but repeating it here wouldn’t go amiss. Lie in a comfortable position on your back. Hands and feet are free. The palms rest next to the body and look up. Take a deep breath (preferably abdominal, please consider the “diaphragmatic breathing” afterwards, if it’s difficult, breathe as you can) and exhale slowly through your mouth as if you mentally distribute your exhalation throughout the body from head to toe. Then start “scanning with attention” every part of the body, starting from the top. Some people do this technique by moving attention from the toes to the crown. Some people prefer to start with the head. I follow the last version of this technique, because muscles of the face and shoulders are usually the most tensed ones (you will notice it yourself after trying Yoga Nidra), so it’s better to start with them. First focus your attention on the crown, catching each sensation. As well as the lack of any sensation. But try to sharpen your attention to catch the very subtle sensations. But do it in relaxed state: do not tense. Hair, touching of the surface you are lying on, skin sensations, the feeling inside the head. Try not to miss anything, all the attention is only in the crown. Try to observe all the sensations in the part of the body where your attention is now and relax that part. No need to do it with a strong-willed impulse, you rather observe how the body relaxes itself under your attention. If you can’t relax, just observe. Watch all the feelings, both pleasant and unpleasant. Do not try to change anything, just be with these feelings. If the attention gets distracted, slowly shift it to the observation of the body. That will happen many times, so don’t worry. When you have “scanned” all parts of the body, take in another deep breath through the nose and exhale through your mouth, and stay a little bit with your breathing. Let it guide you into a space where there is no will, no desire, no past, no future, where there is only the state of “here and now”, devoid of any judgments and analysis. Stay there for a while. I warn you that you can fall asleep right during the practice. Then it will be great! But don’t worry if you were not able to relax: it does not happen every time. And Yoga Nidra also requires practice and some skills. Do this every night, and you’ll train your mind to relax! (Relaxation is also a skill, this is the fact that many people forget.) And the quality and quantity of sleep will rise! 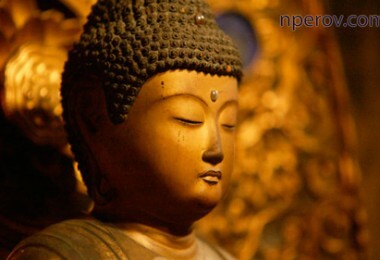 We see a complete synthesis of the principles of non-doing and concentration in this method. You are not trying to force yourself to relax; you are relaxing because the will is disappearing. But to do this, still a minimal effort of will is required – your attention which moves up and down your body from top to bottom. I have already written about this method in my other articles, I will not stop here for a long time. I’d better shoot a video clip, where I will show how to do it, and then will post it here. Abdominal breathing or diaphragmatic breathing – is the opposite of hectic and shallow chest breathing. When we use abdominal breathing, we activate the parasympathetic nervous system, which is responsible for the feeling of calmness and relaxation. What do we need to do? Lie on your back. Place one hand on your abdomen and the other on the chest. Take deep breaths in and out. The hand, which rests on the abdomen, should move with it. But the hand on the chest must be still. This method requires just a bit of practice, you will master it quickly, if you spare some time to it. Continue this breathing for a couple of minutes. Take a deep breath in with the abdomen and take a deep breath out. You need to breathe through the nose. If you feel dizzy, do a small pause between inhalation and exhalation, exhalation and inhalation. You can do this practice before or during “Yoga Nidra”. But in the latter case, don’t try making your breathing as deep as possible. Let it be natural and relaxed. Just breathe with the abdomen in your usual rhythm. Since a long-term practice can cause a rise in energy and vigor, which is not recommended if you want to fall asleep, I usually use 5-minute meditation session before going to bed. 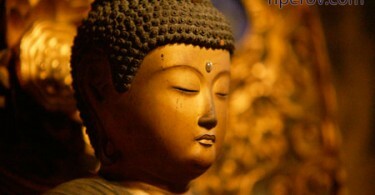 Short practice calms the mind, relieves it from bustling, bothersome thoughts, which often become a cause of insomnia. But every organism is different. 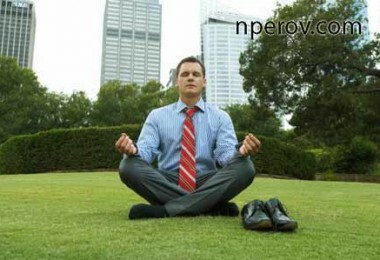 Some people, on the contrary, feel sleepy after long sessions of meditation of more than 20 minutes. Therefore, look at yourself in the first place. Use that duration of the practice which helps you to fall asleep easier. You can find here information on how to meditate. (In this article I have noticed the fact that a well-known method of counting sheep at bedtime is also a primitive form of meditation). Before going to bed, I usually use the practice of concentration on breathing, practice of gratitude, “Yoga Nidra” (which is also a form of meditation). Or I just begin capturing the events of the day, trying not to get involved into them emotionally. I will write later about the last practice, but the meditation of gratitude will be given in another article. By the way, Siddhartha Gautama, also known as the Buddha has recommended to practice Metta meditation to fall asleep and sleep without nightmares. You may try! I’m sure it will work out well. Because I practice it myself in the morning. I borrowed the name of this technique from Carlos Castaneda, famous mystic. But it’s just the name. The method that I will tell you about, though reminds us of the practice of South American shamans, has a bit different goals and objectives. When I had realized that I had been about to be absorbed by the routine and the days had seemed to have been mingled into a monolithic mess, I decided to bring every night to my mind before going to bed why this day was unique. I did it in order to remember the day better, to separate it from a series of other days, and so the day was not lost on me. Then I added to that the repetition of what I have learned during the day. For example, “I realized that hints do not work, straight talk can better solve everything.” I even noticed that life lessons sometimes passed me by, I forget them. So I decided to pay attention to them before bedtime. And I have noticed that this practice, in addition to its other advantages, calms the mind and helps to fall asleep very well. It may seem somewhat boring: remember the events of the day, starting from the morning. But this is the trick: the duller what you focus on is, the easier it is to fall asleep! Actually, there is nothing difficult. Lie down and begin to remember your day from the morning until the moment you lied down in bed. How much detailed it would be is up to you. The more anxious you are before sleep, the longer the practice should be. But I insist that it should be a meditation, not just raking memory, which usually prevents us from sleep. What is the distinguishing feature of meditation? 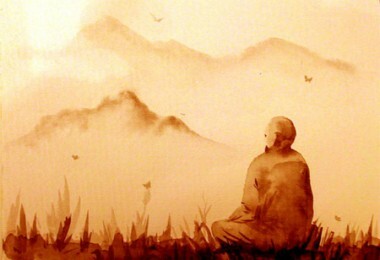 In meditation we use the position of the observer not involved in the object of observation. In other words, you have to fix in mind the events of the day with detachment, without sinking into them emotionally. First of all, it will help you to break the emotional attachment to the disturbing memories, and your attitude to them will change to more peaceful. Secondly, if you begin to respond sensuously to what you think of, on the contrary, it will aggravate your insomnia. Fixing the events of the day, try to draw conclusions. What did you learn today? How will you use this knowledge in future? What will help you to avoid today’s mistakes? What will allow you to fix recent success? If you still cannot observe your memories with detachment and this practice, on the contrary, causes excitement, keep up courage. You can start with other forms of meditation, if this method cannot help you to fall asleep now. One more of my favorite ways to fall asleep. Perhaps, the nicest and the fastest one. The method is that by listening to relaxing music, your mind and emotions come into resonance with it and become calm on their own. Music should be slow, liquid, beautiful. There is nothing wrong in that it may seem boring. As I said, the more boring the better. You can try the Ambient genre. I recommend the following artists: Brian Eno, Steve Roach, Biosphere, Loscil, Carbon Based Lifeforms. Remember, it is also important to use the principles of concentration and omission here. Concentrate on the music as soon as you notice that the attention has shifted to something else and slowly shift it back. But do not try to force yourself to relax because your tension will only increase more. Also, do not try to force yourself to like this music, if you do not like it. Just relax and listen to it. Let your mind slowly come in tone with it. Let everything happens as it is happening. Fall asleep and relax. As a rule, I rarely sleep with music playing. I just fall asleep with it. When I feel I’m about to fall asleep, I turn it down. And after a few minutes I sleep soundly. This method has helped me for almost all my life. I am writing this in the morning, and I incidentally used it this night since I was woken up in the middle of the night by a noise and could not fall asleep after this. To tell more precisely, my sleep was somewhat restless after the night’s awakening: I was falling asleep and waking up again and again. And then I remembered the “reset”. Of course, I don’t claim to be the world’s academic authority, and what comes next is just my explanation. Sometimes the brain for some reason cannot “digest” some experience, for example, information obtained during awakening. It starts dwelling on it, replays the same images and experiences in the mind, and it is in no haste to break the pattern of anxiety it immersed the body in. The essence of the reset – is to cancel the pattern, zero it out. In other words, if you are awakened by the dog barking in the middle of the night, you can start thinking about it, toss and turn, fall into the shallow sleep, see the same images in your dreams or somnolence and wake up again. It is particularly expressed in times of illness with the fever (in this case a reset – is the best method), but sometimes it happens for no reason. If you do not break this “pattern”, it may last for a long time, not letting you sleep. What should you do in this case? Go to the kitchen and do something, for example, make warm milk. Drink it slowly, throw away the veil of restless sleep and go back to bed. In some cases, the “pattern” will be reset, and you will fall asleep easily. What did I do last night? I was tossing and turning and waking up constantly to fall into a shallow sleep again. But then I decided to reset myself. I got up, took a cold shower (there is only cold one in many houses in India), washed my face, and washed away the night sweats. Coming back to bed, I straighten out the crumpled bed sheet. I lied in a comfortable position on the back, hands outstretched, palms on the sides looking up, legs and slightly apart. This “open”, relaxed posture – the opposite of “gnarled” position lying on the side, which I tried to use to fall asleep before. I relaxed, I felt that my body got relief from tension as it became cooler, more comfortable and cozy for me. And that the veil of restless sleep is washed off, and instead of it a sleep, deep and restful, came. I opened my eyes in the morning, vivacious and vigorous. There are quite a few techniques similar to listed above. Before moving on to the second part, I will tell you how they can be combined with each other, how to practice them and what the sequence is, so that you will not be confused. Some of these methods can be combined. For example, Yoga Nidra and diaphragmatic breathing: it would be better if you breathe with the abdomen during the “body scanning”. Of course, you are not supposed to move. If we want to use several techniques at once, I would start with Yoga Nidra to calm the mind and relax the body. When the mind is calmer, you can start recapitulation. And before you go to bed, you can start with a short meditation. Or you can try different techniques and see which is more suitable for you. Perhaps, you will fall asleep faster to the sound of quiet meditative music. Or maybe you will reach relaxation by means of recapitulation, who knows? Try, experiment! Maybe you will discover new ways to fall asleep and then tell me about them in the comments! Many modern doctors argue that the use of warm milk for sleeping is exaggerated. The content of “sleep hormones” melatonin and tryptophan is minimal in it. Perhaps, the effect of milk is more psychological: we are calming down slowly sipping a warm drink. Although, some researchers believe that products containing calcium, such as milk, simply launch the production of melatonin in your brain. Traditional Indian medicine Ayurveda also advises drinking this drink for a night. Anyway, I will always recommend a nice and warming glass of warm milk for a night, and it is better to add a bit of honey. Because it has always helped me to fall asleep. If you are lactose intolerant, you may like soy milk or other types of milk. Before going to bed, make sure your room is dark enough. Eliminate all unwanted noises and disturbances. The temperature for comfortable sleep should be at the level of 18 – 20 degrees. These are just advisable recommendations. If you cannot follow them for some reason – do not worry. All in all, if a person wants to sleep, and his mind is calm, in fact, he can sleep under all conditions, even standing, being in the midst of rattling trumpets of an orchestra. Heavy meal right before going to bed will be expressed not only in the form of extra kilos, but also will prevent you from falling asleep because of the fact that the metabolism will be fully launched. Doctors advise to eat products containing mixed carbohydrates, tryptophan (one of “sleep hormones”) and calcium in the evening. This food initiates the production of melatonin, calming the mind. These products include bananas, almonds, peanuts, dairy products. Avoid sweets because sweets provoke the production of stress hormones increasing the level of sugar in the blood. Better not to take pungent food in the evening or food with the large amount of spices. Again, these are advisable recommendations. That’s great if you follow them. But not everybody has this opportunity. I live in India and, sometimes, at night I eat very pungent food with spices, drinking tea with spices and then easily fall asleep at the temperature of 30 degrees (86 f.) in the room. If I manage to calm the mind, then my sleep is placid and calm like a child’s sleep. So, in my opinion, the main thing – is peace of mind and keeping proper hours (a little later about it). It’s a great method to be healthy, reduce stress and fatigue, to use energy in such way that its surplus does not prevent you from falling asleep. It is better to do sports outdoors. Jogging, skiing, active games will suit perfectly. Not only you will enjoy it, but it will improve your health, burn calories and pleasant fatigue will send you to the Morpheus (not that from the Matrix – lol) at rapid-fire pace! Do physical exercises at least in 2-3 hours prior to going to sleep. Since the body is in excitement for some time after physical activity, it has no good effect on sleep. Method 14 – Schedule your sleep! This is perhaps one of the most important tips here. Nothing is as good for your health and mood as permanent wake-sleep schedule. Some people lose themselves in depression when they lose their job. It happens not only due to the fact that they run out of money. But because they fall asleep at 3 am and wake up at 1pm, they sleep during the day and fall asleep at 5 am the next day. That is what causes problems with emotions! It is not difficult to form wake-sleep schedule. No need to make an effort to go to bed at the same time every day. You need to get up at the same time every morning! Even if you had a night late. If you fell asleep, for example, at 2 am and woke up at 7 am, then, most probably, you would get drowsy before 2 am the next day. And your sleep-wake cycle will improve little by little on its own by iterating. You just need discipline and patience for this. Please do not ignore this advice! It is very efficient and effective method! Method 15 – Be healthy physically and mentally! No method will really help you if you don’t take enough care of your mental and physical health. There are people who never go to sleep without taking pills, so jaded their nervous system is. Others suffer from insomnia because of mindless alcohol drinking or other addictions. Still others go through the aftereffects of trauma and stress. Therefore, it is important to take care of your health. If you have a lot of stress in your life, and there are problems with nervous system, you can read my articles on overcoming stress, for example, ‘Best Ways to Relieve Stress Without Alcohol or Drugs’. Do sports, break your bad habits. You can also find lots of articles on this subject on the site. I wish you good luck in its studies. I hope it can help you! If your place is safe at night, then go for a night walk. But try not to disturb your family! Your insomnia – is a great opportunity to break out of the routine, do what we do very rarely in view of being very busy and large number of duties, for example, enjoying the romance of the night, remembering the carefree youth. Tear the monolithic fabric of everyday life apart by a new action that you will later remember. Stop thinking about tomorrow’s work at least for some time. It will start only in the morning. But the morning has not begun yet! Take from this night all that it can give you. And if you cannot sleep, let it be. See the sunrise. When did you see the dawn the last time? PS. Did these methods help you? Which did you like most? It would be great if you write it in the comments!